The sea is alive with flashes of silver as thousands of young salmon dart across the surface of Inver Bay on Ireland’s northwest coast. Almost a million Atlantic salmon are maturing at this organic farm, which Dublin wants to replicate – and on a much larger scale – just along the coast. The board wants to build the EU’s biggest salmon farm in Galway Bay, 200km further south on Ireland’s west coast, capable of producing 15,000 tonnes of salmon each year on a 456 hectare site. The farm would double Ireland’s farmed salmon production and create 500 jobs in a rural area struggling with chronic unemployment. The proposal is part of Dublin’s plan to diversify its economy following its property and banking crash and to boost the value of its seafood sector by a quarter to €1bn by 2020. It comes as the UN confirmed this week that global fish prices had hit a record high. Supply constraints, fuelled by China’s growing appetite for seafood, will push prices higher in coming months, says the UN. With wild fish stocks dwindling due to overfishing, many see farming as the best way to feed the world’s population. But salmon farming is also deeply unpopular in Ireland. Anglers and environmental campaigners accuse the industry of spreading disease and decimating stocks of wild fish to use as food for farmed salmon. “This is a crazy scheme. Galway Bay is one of the most beautiful and important locations for tourism in Ireland,” says Enda Conneally, who runs a restaurant on Inisheer, a small island just 2km from the proposed farm site. “Plonking an industrial-style fish farm a mile off Inisheer island risks costing far more money than it could generate. Most people on the island are opposed to this project,” he says. Sea lice are a naturally occurring parasite which attach themselves to salmon and graze on the mucus, skin and blood of the fish. Fish farms are susceptible to outbreaks, and migrating wild salmon can become infected as they pass by the farms on their journey to feeding grounds in the north Atlantic. Scientists disagree on the danger posed by lice. A nine-year study by Ireland’s Marine Institute found they were a “minor and irregular component of marine mortality” and were “unlikely to be a significant factor influencing conservation status of salmon stocks”. 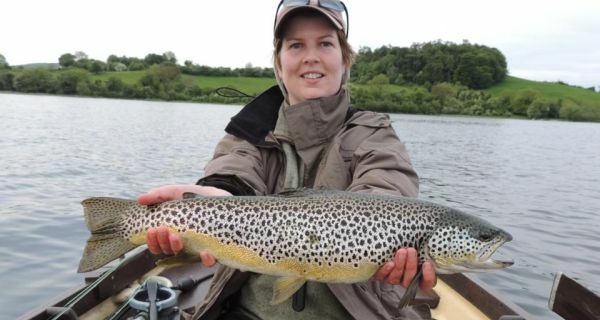 It found no evidence that lice caused the steep decline in Ireland’s sea trout fishery in the early 1990s. However, there is increasing evidence that lice from farms can be “a significant cause of mortality on nearby wild fish populations”, says Mark Costello, associate professor at the University of Auckland. Government in turmoil over Aquaculture expansion. So it looks like Minister Coveney is out to destroy an industry which Minister Rabbitte states is worth in excess of 500 million and sustainably supports 10,000 jobs. NSFAS invited to give presentation at Irish International Fly Fair at Killyleagh Castle! A range of subjects will be covered in our discussion forums and talks, these will be held in the entrance hall of Killyleagh Castle. Times will be posted on the festival notice board. Sea Trout and Strangford Lough. Salmon in Northern Ireland, catch and release. NSFAS is a group comprised of like minded individuals who are concerned about the negative impacts that intensive Salmon Farming is having on our seas. NSFAS, are a dedicated group from all corners of this island. We are comprised of anglers, conservationists and local residents, all with a common purpose. Our mission is “To strive to safeguard our wild salmon and sea trout, their marine habitat and inland waterways to ensure their continued existence”. Our power point will consist of the issues that these salmon farms are having on our Wild Salmon and Sea Trout that also has a major knock on effect on the economy of the people of this Island. Plus lots more. Forums and talks may be subject to change as circumstances dictate. You are guaranteed a wealth of expertise and experience no matter what. All proceeds to The Dibney River Conservation Trust. This entry was posted in Uncategorized on June 22, 2013 by DamienOBrien. Members of the public and interested parties are invited to send written submissions for consideration by the Inland Fisheries Division of the Department of Communication, Energy and Natural Resources in preparing a new Inland Fisheries Act. The new Act will consolidate, update and amend existing legislation which governs the conservation, protection, management and development of the inland fisheries and sea angling resources. Submissions may be sent to IFLegislation@dcenr.gov or John Donohoe, Elm House, Earls Vale Road, Cavan. Closing date is Friday, June 28th. In a related notice, the No Salmon Farms At Sea (NSFAS) group believe it is vital that submissions under the public consultation phase are made as soon as possible. The group requests this notice be brought to the attention of clubs, organisations and those with an interest in protecting our fisheries. “In our opinion, one of the most important points which must be raised is the necessity to have an independent organisation placed in control of monitoring of the aquaculture industry,” said a spokesperson for NSFAS. Canada’s Food Inspection Agency (CFIA) has ordered that approximately 800,000 fish at a Gray Aquaculture site in Goblin Bay, Ontario, need to be destroyed due to concerns over infectious salmon anemia (ISA), according to The Coaster. CFIA has also placed control measures on the movement of people, vessels, equipment and fish onto or off the premises in order to prevent any potential disease spread. “Given the similarity of the strain between the site and the other site where an Infectious Salmon Anemia (ISA) was detected in December 2012, the CFIA has issued an Order to Destroy and is working with the industry in order to start the depopulation process,” said CFIA in a statement. According CFIA policies, the agency may order animals destroyed once receiving laboratory confirmation of ISA or once linking epidemiologically a new site to a previously confirmed site, which is the case in this situation. In all cases where federally reportable aquatic diseases are suspected or confirmed, the goal is to prevent the spread of the disease to other aquaculture sites and to susceptible wild fish in the vicinity. CFIA said that the source of these events had not been confirmed. However, there are several possible ways that the fish may have contracted the ISA, including transfer from wild fish or from previously infected sites. This entry was posted in Uncategorized on June 21, 2013 by DamienOBrien. Arne Pedersen is not too concerned about the new quota recommendations for cod and haddock. It isn’t the quantity of fish that worries him: it’s their health. “This is not natural, this is poison,” Pedersen said, sawing open a frozen haddock to expose the contents of its stomach. Further down the coast, researchers from the Norwegian Institute of Nature Studies and the Institute for Marine Research found in a 2010 study that wild fish near salmon farms had high concentrations of organohalogenated contaminants (OCs) in their systems –chemicals such as polychlorinated biphenyls (PCBs) so toxic that their production was banned by the Stockholm Convention on Persistent Organic Pollutants; and polybrominated diphenyl ethers, a type of flame retardant known as PBDEs. A total of 45 percent of the fish nearby salmon farms were found to have feed pellets in their stomachs. The pellets fall through the salmon farm pens and accumulate on the sea floor, and are then consumed by wild fish in the vicinity. The control fish in the study were found to have no salmon pellets in their system, and up to 50 percent less OCs and PBDEs than the fish nearby salmon farms. Indeed, the 2010 study recommends further research into this very issue. But Pedersen is not hopeful this will happen any time soon in his region. What the Black-Legged Kittiwake can teach us about mercury A study showing that high levels of mercury might prevent a Svalbard bird from breeding could have rippling implications for other large mammals, including humans, that live in the mercury-rich Arctic. Spilled oil covers tundra rivers Environmentalists say that a state of emergency must be declared after at least 500 tons of oil spilled into local rivers from an oil facility in the Komi Republic. In Barents Cooperation, a question about environment The new Kirkenes Declaration has environment as a top priority. Still, environmental NGOs fear for green cooperation in the Barents Region. Shocking levels of sea lice in Ballinakill Bay ! The shocking image above was sent to us today and it really calls into question the Irish governments so called monitoring regime carried out by the Marine Institute and protocols which are proclaimed to be more advanced than any other jurisdiction. This Finnock was caught in the Kylemore River today, the 21st June 2013. The number of sea lice on this fish are way above trigger levels. This did not happen overnight. To the best of our knowledge, there are two salmon farm sites in operation in Ballinakill Bay at Froachoileann which are operated by Bifand Ltd. This particular company has a history of problems with controlling numbers of sea lice, infact it was instructed to de-stock back in March 2012 by order from the Marine Institute. There is obviously a major sea lice problem yet again in Ballinakill Bay and the Marine Institute must investigate this potentially disastrous situation for our wild stocks. NSFAS do not have any faith in the present monitoring process or the agency tasked with carrying out the inspections as they are not effective. We are calling on the government, the gaurdians of this state and its natural resources, to review the current sea lice inspection process. The inspection process, as it is currently carried out, makes a mockery of the claims by Minister Coveney that the controls in place “are generally regarded as representing best practice internationally”. It is not in anyones interest to have a situation whereby the operators of salmon farms are notified days in advance of any inspection. A completely independent angency, such as the EPA, need to be appointed as the monitors of the aquaculture industry in order for the policing of the industry to be carried out in a transparent and effective manner. This entry was posted in Uncategorized on June 19, 2013 by DamienOBrien. The Minister of State at the Department of Communications, Energy and Natural Resources, Fergus O’Dowd, T.D. invites members of the public and interested parties to send written submissions for consideration by the Department in preparing a new Inland Fisheries Act. The new Act will consolidate, update and amend existing legislation which governs the conservation, protection, management and development of the inland fisheries and sea angling resources. The closing date for receipt of submissions is 5.30pm on 28th June 2013. All submissions received will be published on the Department’s website following the conclusion of the consultation period. Further details and links to existing inland fisheries legislation are available at www.dcenr.gov.ie. NSFAS believe that it is vital that members of the public and all interested parties make a submission under the Public Consultation phase and in that regard we are requesting that submissions are made as soon as possible, as the deadline is the 28th June. Please bring this to the attention of your clubs, community organisations and all those who have an interest in protecting our fisheries for future generations. In our opinion, one of the most important points which must be raised is the necessity to have an independent organisation placed in control of monitoring of the aquaculture industry. Today the industry is virtually self monitoring. This is a situation which is severly lacking in transparency and as a result gives rise to a situation where no data is available with regard to sea lice treatments, no data is available with regard to chemicals used in the treatment process, no data is available on the frequency of treatments and worst of all no unnotified inspections take place by the Marine Institute. 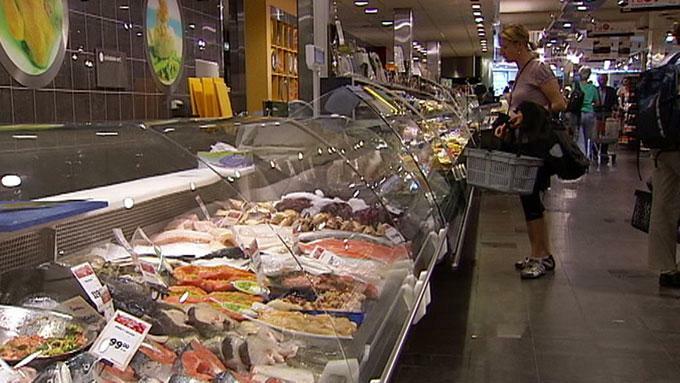 Four of Norways biggest supermarket chains threaten to stop selling farmed salmon! The following is a translation of an article which has appeared on the website of Norwegian National TV2. It has kindly been translated by Niels Ploughman on our behalf. A link to the original version is at the end of the post. Threatening to ban farmed salmon from foodstores. The 4 big foodstore chains in Norway threathen to ban farmed salmon from their foodstores if the fishfarmers do not change their production to closed pens and guarantees that the fish are safe to eat. “Today we shall have ligthly salted cod, and for tomorrow I have bought a filleted trout” – says Unni Flatholm – one of the many shoppers in Lagunen Storcenter in Bergen. She never buys farmed salmon.” No – I don´t like it – we never know what we are getting” – says Unni Flatholm. Elin Moe Ranzinger shares her concern. “I want to know what substances in the fish I expose my family members to. I am not interested in fish treated with antibiotics – so I do not buy farmed fish – she says. She finds it scary that the fishfarming industry for years have struggled with diseases, salmon lice and pollution. Antonio Soares – from Portugal manages a food chainstore that makes a living by supplying food items that consumers can trust. As managing director of ICA, he has over the years taken part of a process, all large food chainstores take part in. For the first time he is willing to share his concerns. “If fish are susceptible to certain diseases, they try to prevent these diseases with meds and substances that are suspect – not only for the consumer, but also for the environment. Norvegians spend 130 Billions NKR each year on food. 4 big food chainstores: Rema 1000, ICA. Norgesgruppen and Coop – more or less control most of the food retail market. According to ICAs managing director – it gives them the power to make demands to their suppliers. Both for ICA in Norway, Sweden and Netherlands. The main company and the store owners, can decide to limit the sale or even ban the sale of certain products – as we have done sometimes. ICA demands that the salmon farming industry becomes enviromental sustainable within 3 years. Prototypes of closed, recirculated fish farms have been developed, but the fishfarming industry has shown very little interest in investing in these. Let us find solutions that makes salmon farms sustainable. That is what we are asking. The ideal are closed salmon farms – that prevent salmon from escaping and polluting the water around the fish farms. TV2 is aware that large interest groups from both the fishfarming industry and the food chainstores have met several times during this spring with high ranking goverment officials from the department of health and the fishing department. Kurt Oddekalv from the Enviromental Association has also taken part in meetings where he has given the food retail market organisations his accessment of the situation. Kurt Oddekalv says various actions will be taken if the food chainstores are not using their power to make demands to the fish farming industry. Thomas Angell says :”We have chosen to take the concerns of the enviromental association seriously and are working together with the Foodinspection and Department of fishing to find out if farmed salmon and cod are safe for human consumption and how these fish are produced. The Fish Export lobby says: We have tried to provide the Food Chain Stores with facts. Salmon are off course a 100 percent safe product. When Mr. Oddekalv and others make montrous claims, we have been in dialoque with the foodinspections and the department of health, since they are the authorities responsible for food production – says Director Terje Martinussen. From the main office of the Enviromental Association in Bergen, Kurt Oddekalv is leading the campaign for sustainable fish farming. Late April he received a letter from a law firm hired by the national fish farming industry (FHL) – They want to sue us because we demand that the food retail stores stop selling farmed fish. And that is correct. They also want to sue us because we we want to force the fish farming industry to change their production so it becomes more sustainable, which is also correct. The only solutions to the problems the fish farming industry creates is that we demand that they follow the rules all other production industries must follow. Closed production facilities, where all water is purified before discharged – says Oddekalv. The communications director of FHL, Are Kvistad says. We risk loosing jobs along our shores and jobs in our districts if we are damaged by misleading information. That is why we have sent a letter to the enviromental association – to end their campains. More than 150 countries import both vild and farmed fish from Norway, with a value of 26 Billion NKR. So it is big values that are at stake if the market situation changes. We do follow the Norvegian authorities rules for fish farming – Are kvistad says. ICAs managing director Antonio Soares however thinks that sustainable fish farm production demands more than that. “Sometimes the law and regulations protects you from a legal standpoint. But responsible companies should see further than that. They should look forward and see what they are leaving behind for the next generations. A customer – Arne Arneson rolls his shopping cart towards the parking lot. He thinks that consumers in the future will pay more for fish that are produced more ethically and has a high quality. “We can afford that” – he thinks. This entry was posted in Uncategorized on June 15, 2013 by DamienOBrien.